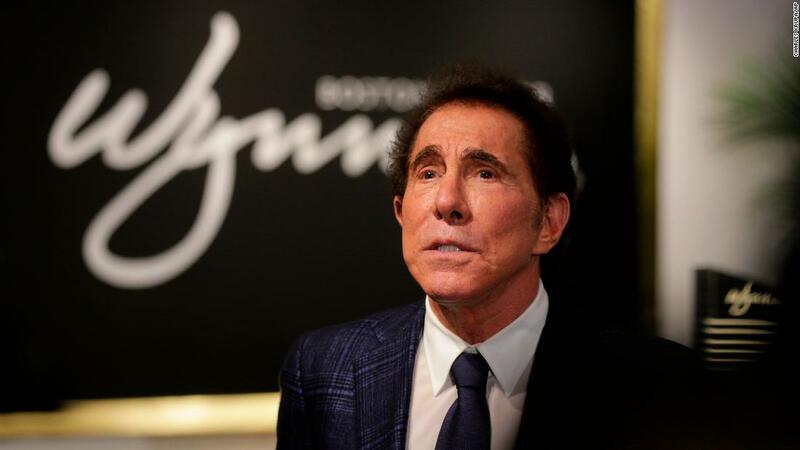 Washington (CNN) Steve Wynn has resigned from his position as finance chairman for the Republican National Committee amid controversy over sexual misconduct allegations. “Today I accepted Steve Wynn’s resignation as Republican National Committee Finance Chair,” she said in a statement. Wynn is facing allegations of sexual misconduct following a story in The Wall Street Journal that published on Friday. He denies the allegations, calling them “preposterous.” Politico was first to report Wynn plans to step down on Saturday. RNC committee members were told about his resignation Saturday, and a White House official said President Donald Trump was apprised of Wynn’s decision to resign. The President hand-picked Wynn for the position, a sign of their rivalry-turned-friendship, but he supported Wynn’s decision to step down, the official said, in hopes of minimizing any political damage. The heat was turned up on Republicans to return donations from the Las Vegas mogul, as the nation continues to face a reckoning over sexual harassment and the RNC backed controversial Alabama Senate candidate Roy Moore in the state’s special election. However, Wynn has denied any wrongdoing. Just this election cycle, Wynn has given $100,000 to the National Republican Senatorial Committee. He has also contributed thousands of dollars to the campaigns of Sen. Dean Heller of Nevada, retiring Sen. Jeff Flake of Arizona (who was running for re-election at the time of Wynn’s donations), and special election victors Reps. Greg Gianforte of Montana and Karen Handel of Georgia. Wynn spoke just last week at Mar-a-Lago at a Republican fundraiser, where he noted that he was personally tapped by Trump to serve as the finance chair.